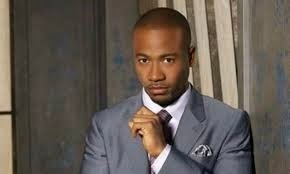 Columbus Short is Out from the Cast of Scandal and I'm Glad! Columbus Short Will Not Return for Season 4 of "Scandal"
Last week The Janitor wrote an excellent piece on "Racial Bias & Merit." He referenced a powerful study in which several law firm partners across the country where presented legal memorandums written by law associates. These memorandums contained a slew of strategically placed errors. Those partners were given a racial identity to the memos and we saw first hand that racial bias is very much still alive in the workplace (despite what Clarence Thomas or Herman Cain believe) and pretty much inevitable. Essentially, as African-Americans we are the color of our skin. No matter how much we try to fight it, this is what it is. I personally don't know when or how we will get over this, as a people, but in the meantime we have to live with this nonsense and figure out ways to excel beyond the preexisting barriers put in place for us. That old saying couldn't be more prevalent than in the context and outcome of that memorandum study -- "if you're black in America you have to be ten times smarter and ten times better than your white counterparts." It's unfortunate and quite frankly it pisses me off, but that's the world we live in. 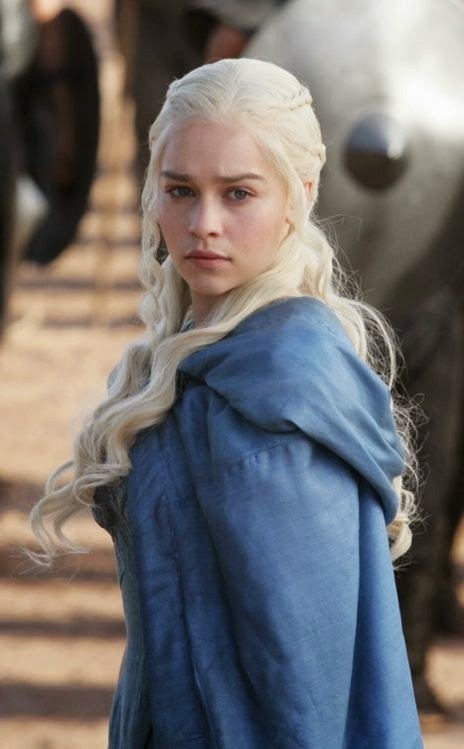 When we last left everyone's favorite platinum blonde princess she was shooting barrels of broken shackles over the walls of Meereen. Daenerys interrupts Missandei and Grey Worm, who are bonding over shared stories of loss, to tell Grey Worm that it's time. Grey Worm doesn't look too happy at having his "me" time with Missandei interrupted but hey, it's not like he can do anything with Missandei anyway. 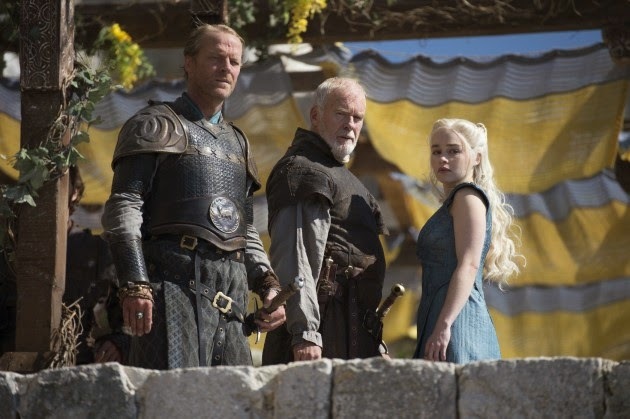 Jorah, lame as he is, has a better chance with Daenerys because he has his original equipment. You can't drive a manual without a stick. I like Hunter's Bob Lee Swagger novels. This novel came out a few years ago but I just got around to reading it a few months back. 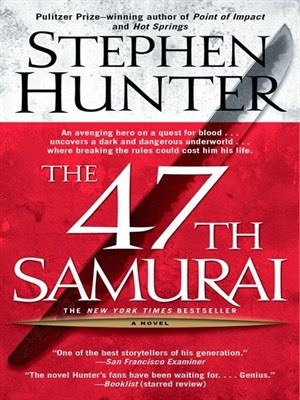 I've read books in the series both before and after this one but generally Hunter's writing style is such that most of the books can be read on their own. Bob Lee Swagger aka Bob The Nailer is a fair minded, prickly, stubborn, direct and unfailingly polite old coot Vietnam War veteran Marine gunny sergeant who has a knack for getting himself wrapped up in trouble. He remains among the world's deadliest snipers, even at his advanced age. Swagger comes from a long line of tough guys, some morally good, some otherwise, all of whom have uncanny speed, scary aptitude with firearms, and an often underestimated intelligence. 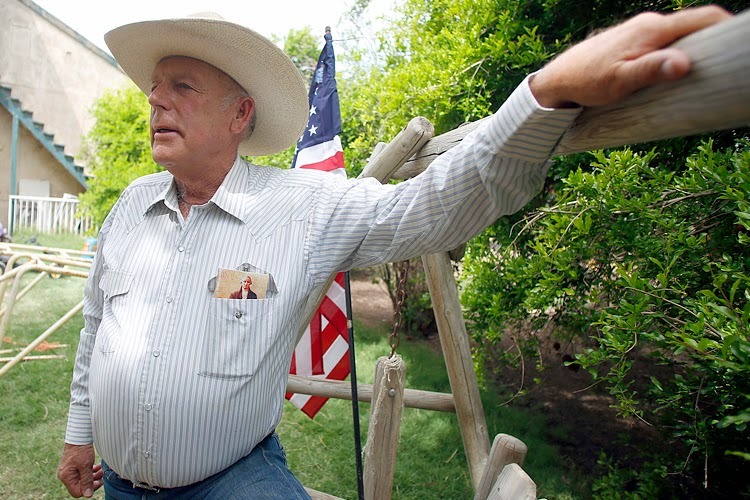 Although Swagger looks, sounds like and frankly is an Arkansas hick, he's also something more than that. So I was predisposed to like this book and I mostly did. The problem however was that suspension of disbelief was stretched. In his books, Hunter has provided well researched explanations of military and gun culture, gun mechanics and the various traits that allow some men to react immediately in deadly situations while other people are standing around. Hunter has explained that although the Swaggers do have that extra something special in terms of speed, cunning and aggression, NONE of that would mean anything without years of dull repetitive practice and real life experience. This includes weapons practice and the use and internalization of applied physics, chemistry and biology. A sniper must account for gravity's effects on the bullet. He must know exactly where to place the bullet to achieve a single shot, single kill outcome. He must account for wind, bullet weight, humidity and even the rotation of the earth. He needs an instinctive working knowledge of trigonometry and calculus. He must be able to remain still for long periods of time while waiting for the target. Regardless of a man's natural talent, it takes time to achieve the professional skill level that someone like Bob Lee Swagger possesses. When Bob Lee Swagger picks up a gun, it's just an extension of his will. Stephen Colbert doing what he does. I enjoyed this. Yesterday, the Supreme Court of the United States issued a ruling which upheld the state of Michigan's voter-approved ban on affirmative action in higher education. It's important to note that the advocates for the ban -- chief among them Ward Connerly -- argue that affirmative action is "unfair" because it seeks to give consideration to minorities on the basis of race instead of on the basis of their own merit. 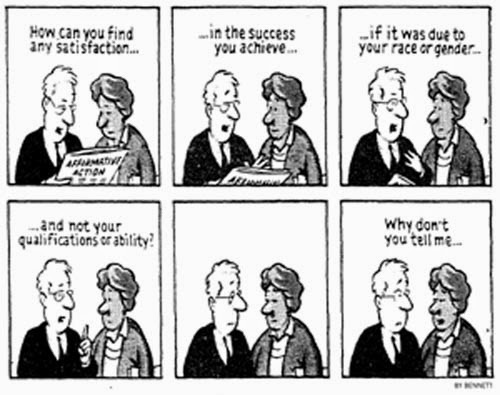 Which is to say that race plays no role in merit. Hold that thought. We're going to come back to it. Half of the partners were told that the memo was written by a black associate, and the other half were told that the exact same memo was written by a white associate. We live in a world in which black men are "accidentally" shot multiple times because police thought that a wallet looked like a gun. We live in a world where black teens climbing trees have guns drawn on them by police who feel threatened or more likely just wanted to put the fear of God into someone they viewed in a negative light, despite their tender age. We live in a world where black people stopped, not arrested but just stopped, by police are more likely to have force used against them. So if some black people who were members of what some people considered to be a fringe religious or political group decided that they weren't going to pay taxes or fees on commercial activity and ignored court orders to do so while continuing to engage in illegal activity and threatening law enforcement officials, well the response would likely be swift and bloody, probably something like this. Most Americans, regardless of where their sympathies lay, would point out that disobeying court orders and drawing down on police officers really isn't very smart unless you're ready to go all out. And if you are ready to shed blood well you've either got guts and are quite dedicated or are quite reckless and dumb. If you tell local law enforcement, state police and the United States government to bring it, well don't be surprised or offended when they do indeed bring it. This is obvious to most people, at least when it's black people stirring up a fuss. One of the sad ugly things about life is that some day it will end. Everyone you love is going to leave this world. You yourself will one day be gone. I hope it doesn't happen for decades but of course it might happen tomorrow. Most people don't spend a lot of time thinking about this. When it happens to someone they love they can be momentarily or even in some cases permanently crippled by grief. But Tywin Lannister is evidently a person who has spent some time thinking about such things. If he is touched by anything so pedestrian as grief he does an excellent job hiding it. Someone has to do the hard things. In Westeros in general and the Lannister clan in particular that someone is Tywin Lannister. This episode was transitional after last week's bombshell but there were important clues dropped about past and future events. I loved Charles Dance this week. He showed yet again why the show is so fortunate to have him in the Tywin Lannister role. As Tywin, Cersei and Tommen perform the Westerosi equivalent of sitting shiva over Joffrey's corpse we see that Tommen is confused, Cersei is heartbroken but Tywin is coolly pragmatic. Tywin informs Tommen that he is the new king. Using the Socratic method, Tywin starts teaching Tommen what characteristics a man needs to be a good king. Some of this dialogue is taken from GRRM's comments that morality doesn't necessarily make an effective leader. Tywin is a bit Machiavellian as he gives Tommen real life examples that holiness, strength and justice aren't as important as other things like wisdom. Tywin intends to see to it that Tommen is wise enough to listen to him as assuredly Joffrey was not. Tywin thought Joffrey was a bad king. Cersei is not thrilled by her father starting his tutoring lessons before Joffrey is even buried but of course Tywin ignores her. This horror movie is like a meeting of the minds between The Blair Witch Project and A Werewolf in London. It combines seemingly low production values based on found or in a nod to the internet, blog and facebook streamed camera footage, with a roadtrip across Europe as experienced by two best friends. They run into something which shouldn't really exist but does. By the time that they have figured out exactly what's going on it's probably really too late to do much about it. The special effects were adequate but didn't really impress. This film gets most of its scares from old fashioned camera angles and movement, a general sense of unease as exemplified by the lighting and shooting in darkness, and of course the acting. What a concept. So this wasn't a great film but it's a good addition to the horror genre. I probably would have been a bit less impressed had I seen this in the theater. 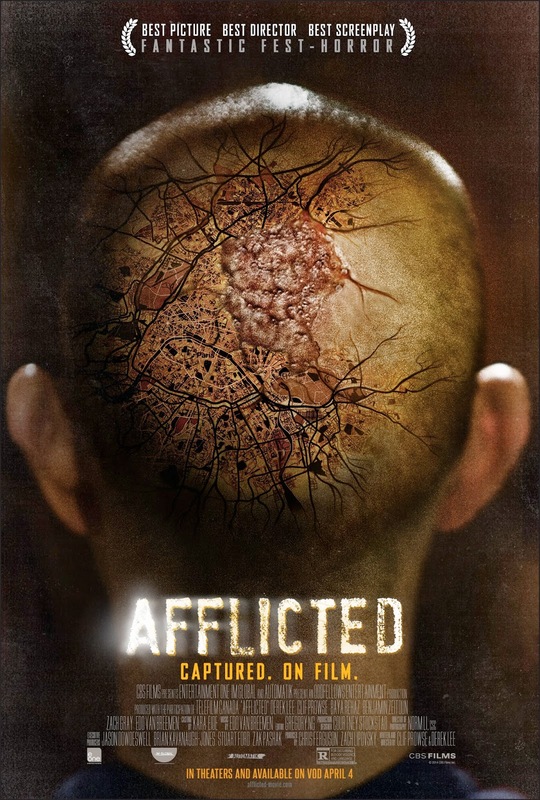 As a directorial debut Afflicted is a welcome step away from the visual or narrative styles of the Twilight or Underworld movies. Some things remain unexplained in the film. There is no convenient clergyman, avuncular anthropologist or brilliant bookdealer to let the protagonists and viewers know what's going on in a suitably charming Old Word accent. Cliff (Cliff Prowse) and Derek (Derek Lee) are friends that go way back together. They're like peanut butter and jelly or thunder and lightning. You see one, you see the other. Apparently the two men are in their early twenties, technically adults but still young enough to do wild and crazy things without being ridiculed or worrying about mortgage payments, nagging wives or officious bosses. So there's still good times ahead or so they think. Seans Combs to Deliver Commencement Address at Howard University - Good or Bad? 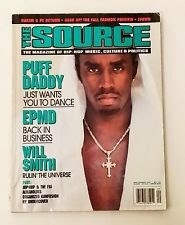 Before I go all the way off on the students of Howard University who are expressing outrage that Sean Combs (we will refer to him by his government name today) has been selected as the 2014 commencement address speaker, let me take you back to 1997 so you will understand my relationship with Sean Combs and why I'm annoyed today. Joe Dumars, former Detroit Pistons championship guard and Pistons General Manager, stepped down today as General Manager after fourteen years in that role. Unfortunately for Dumars, in the decade since his first and only championship as GM, things went south. 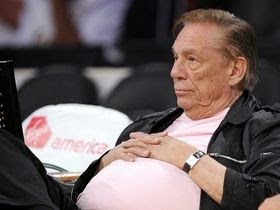 This intensified after the long time Pistons owner and Dumars supporter, Bill Davidson, died in 2009. Davidson's wife soon sold the team to private equity billionaire Tom Gores. Gores has owned the team for the last three years. Dumars' results during that time have been less than stellar to say the least. 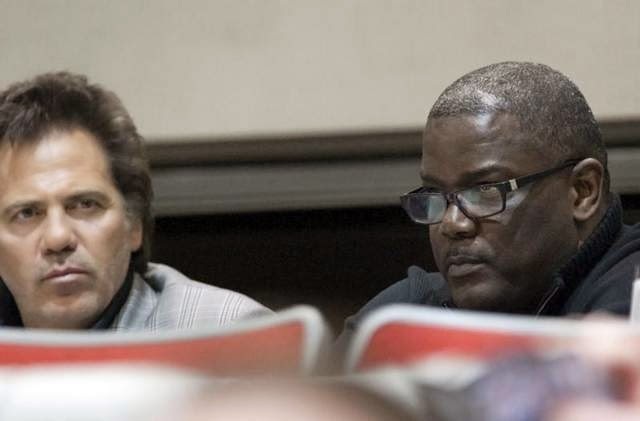 As it is now 2014 and the Detroit Pistons were recently eliminated from playoff consideration, evidently Gores and I suppose Dumars decided it was time for a change. I liked Dumars as a player. He did a lot of the gritty work required to turn the Pistons into champions, starting with being willing to stand up to and put a body on the great Michael Jordan. As a GM Dumars was for a short time the golden child, building a team of seeming misfits, rejects and hungry guys with something to prove into contenders. And he hired the perfect coach to turn them into champions. It was just like something from the movies. But of course every movie has to come to an end. And while Dumars made risky but smart moves in 2003 and 2004 that turned the Pistons into champions and perennial contenders, his moves since then, (of course we have to give him special dishonor for the draft of all time bust Darko Milicic) have at best been questionable while in several cases being obviously harmful to the team. GRRM wrote this week's episode. It primarily takes place in King's Landing and may make some people quite happy. If it wasn't already painfully clear to you from last season, Ramsay Snow is a sadistic, twisted psychopath with poor impulse control. 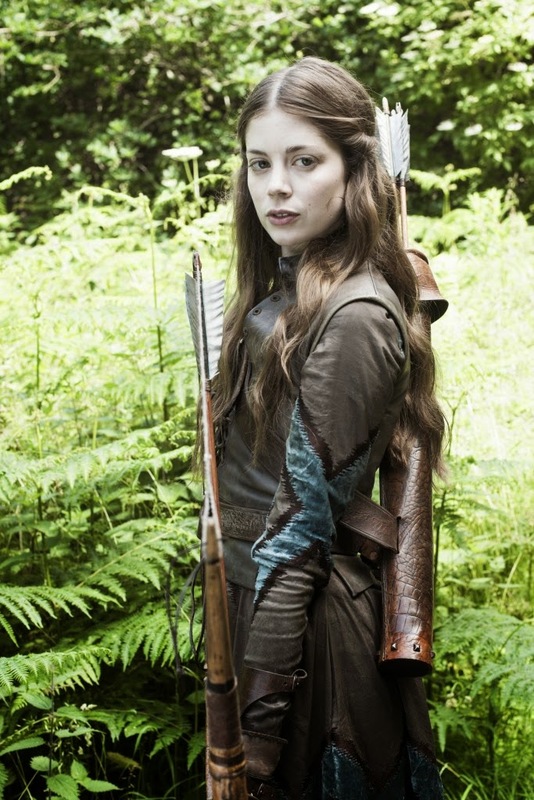 His idea of fun is to take his apparent girlfriend Myranda and Theon (Reek) to hunt a woman in the woods. Apparently this woman's crime was to make Myranda jealous. That's what Ramsay says anyway but the reality is he couldn't care less. He's just happy to have someone to torment. The woman is shot and crippled by Myranda before Ramsay orders his hounds to rip the woman apart. Believe it or not GRRM actually toned this down for television from his original source material. Torment of both the psychological and physical variety is extremely important and pleasurable to Ramsay although he may not necessarily have an eye for strategy. Roose Bolton has returned to the Dreadfort to retake command. He has brought along his new plus sized wife Walda Frey and his bounty hunter Locke. While Locke and Ramsay bond over Locke's mutilation of Jaime Lannister, Roose Bolton is less than pleased with Ramsay's actions in his absence. Roose points out that he needed Theon whole in order to trade with Balon Greyjoy. Ramsay snarkily points out that it's too late for that while Roose coldly replies that as far as he's concerned Ramsay is still a Snow and not a Bolton. The only thing that Ramsay may want more than hurting people is his father's love and trust. Annoyed that his father questioned his actions Ramsay, in what seems like a nod to similar scenes in Django Unchained, has Theon shave him with a straight razor to prove that Theon is completely and utterly broken. Ramsay even mocks Theon with news of Robb Stark's death and the fact that Roose killed him. Ramsay reveals via Theon that Bran and Rickon Stark are still alive. Slightly mollified and perhaps amused Roose orders Locke to find the Stark boys and for Ramsay to take Moat Callin. 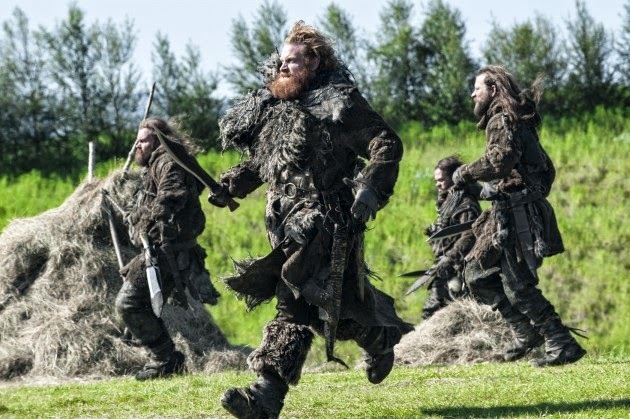 The success of this mission will determine whether Roose will legitimize Ramsay. The fact that Roose easily dominates someone as scary and as vicious as Ramsay gives you more insight into just how dangerous Roose is. Of course you knew that already if you attended the Red Wedding. 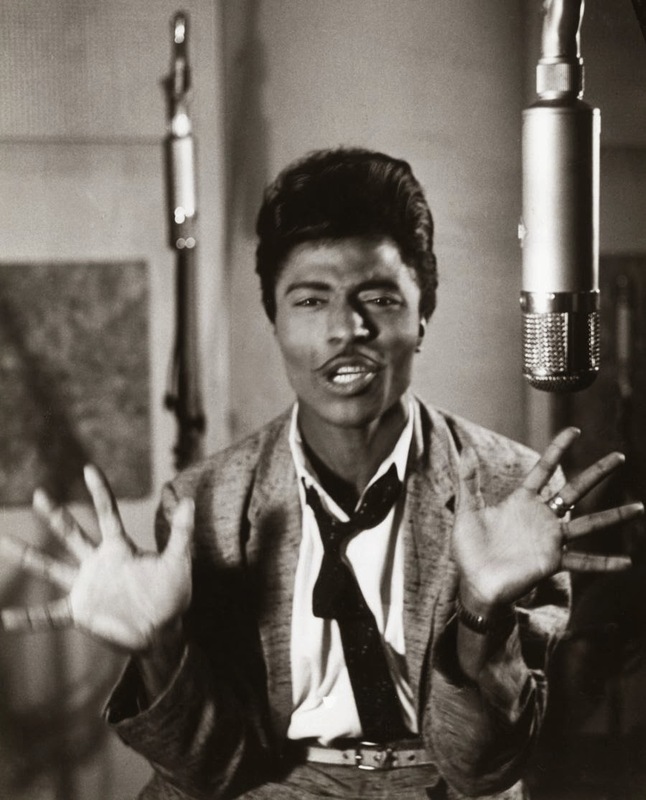 Little Richard (born Richard Penniman) likes to refer to himself as "The Architect" of rock-n-roll. He certainly is one of the founding fathers. He was and is a flamboyant larger than life personality who had massive influence on a wide range of disparate peer and subsequent musicians such as Otis Redding (who worked in his band), Elton John, Bon Scott and Brian Johnson of AC/DC, Prince, Tina Turner, The Beatles, Led Zeppelin, Jimi Hendrix (who also briefly worked in his band), Jerry Lee Lewis, Queen, David Bowie, James Brown, Bruno Mars, Wilson Pickett (who copied and extended his hard screaming style of singing), Bob Seger, Billy Preston and many many more. Like fellow 50s stars Chuck Berry, Bo Diddley and Ike Turner, Little Richard transformed up tempo blues and R&B shuffles into rock-n-roll. For his part Little Richard was himself heavily and primarily influenced by gospel performers such as Marion Williams, Mahalia Jackson and Rosetta Tharpe (who gave the teenaged Little Richard his first big break in show business) and also pop or blues performers such as drag queen pianist and singer Esquerita and jump blues singer Billy Wright. More than any of his contemporaries, Little Richard brought an expressive performance style to his live shows, something that would and did drive both men and women to frenzies. He may have been among the first performers to inspire women to throw their underwear at him. As he was often performing in the segregated south this wasn't always the safest thing to have happen. Where Elvis Presley might swivel his hips and Chuck Berry would do his trademark duckwalk (originally designed to hide a problem with one of his pants legs) Little Richard raised the bar exponentially on what people could expect to see at a rock-n-roll show. Along with his EXTREMELY loud tenor voice, Little Richard also would play the piano with a foot on top, hump and bang the piano, jump on top of the piano, scream (in key of course), strip off his top and occasionally more, use light shows, and just generally put on a physically demanding show that would always leave him totally exhausted and the audience begging for more. He would do all this in heels, sequins and capes, a six inch pompadour, plucked eyebrows and caked on makeup. After a long hectic day of fighting crime while maintaining my secret identity as a mild mannered accounting IT analyst I was minding my own business when out of the blue the batcave emergency phone rang. As most people don't have that number and those that do know not to bother me during the time when the phone rang, against my usual instincts I decided to answer it. It was indeed an emergency. An older maternal relative, one of my few remaining ones, needed help. She had been hesitant to call as on both sides of my family I have over the years quite deliberately cultivated a reputation as someone who can be a little cold when it comes to money. I'll help if I must but there's a 100% chance I'm going to want to know how you got yourself in a spot where you need my help, if I can ever expect this money back, and what is your plan so that I don't have to give/loan you my money again. I like my money more than I like my little cousins, nieces and nephews. And I love them very much indeed. Ok, that's hyperbole. But not by all that much. I'm not going to put all my relative's business in the street as that would be wrong and is not really the point of this post anyway. I did decide to assist her and have no expectation of seeing that money again. I decided to help because she is a) far past retirement age, b) is a woman, and c) had no one else but my brother and I to turn to. Younger and especially male relatives probably would have not gotten assistance. That may be "sexist" or "ageist" but it is what it is. Enough said on that. What inspired me to write this post was that in helping my relative and finding out some of her story I was inspired to take a honest look at my own wealth (or relative lack thereof) and future retirement plans. I'm doing much better than I was five years ago but am definitely not where I'd thought I be twenty years ago. Like the saying goes, life is what happens while you're making other plans. 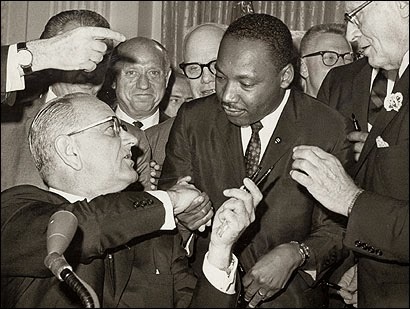 Would the Civil Rights Act of 1964 Pass Congress Today? This is the 50th anniversary of the Civil Rights Act of 1964. In case you are wondering what this law means to you today, this is the law that finally made it illegal for any business, movie theater, hotel, or any other establishment open to the public to refuse service to people on the basis of race. It also prevented businesses from being able to fire or refuse to promote people on the basis of race. Prior to this law, Jim Crow segregation was literally the law in many states (primarily in the South). It's hard for us to imagine this today, but 50 years ago somebody who looked like me would literally not be allowed to shop in certain stores, eat at certain lunch counters, stay at certain hotels or watch the latest movie at certain movie theaters. All because of the color of my skin. That was America. So my question to the readers is this: given our political environment today, would today's Congress pass the Civil Rights Act of 1964? Why or Why Not? I was going to write about a foreign policy situation that was on my mind but that can wait as some news a bit closer to home is getting national attention. A suburban man named Steven Utash (pictured above with family) driving a pickup truck accidentally hit a young Detroit boy who ran out into the street. The man got out to help/see what happened and was attacked by a group of teens and men who beat him into a coma. One of two teens is charged with assault with intent to murder after their arrest on suspicion in the brutal beating of a driver who hit a Detroit boy last week, Wayne County Prosecutor Kym Worthy announced Monday. Bruce Edward Wimbush Jr., 17, faces charges of assault with intent to murder and assault with intent to do great bodily harm. Wimbush is to be arraigned at 2:30 p.m. today in 36th District Court before Magistrate Millicent Sherman. The 16-year-old hasn’t been charged yet and remains in Wayne County Juvenile Detention Center, with a court hearing scheduled for 1:30 p.m. at the Juvenile Detention Center. 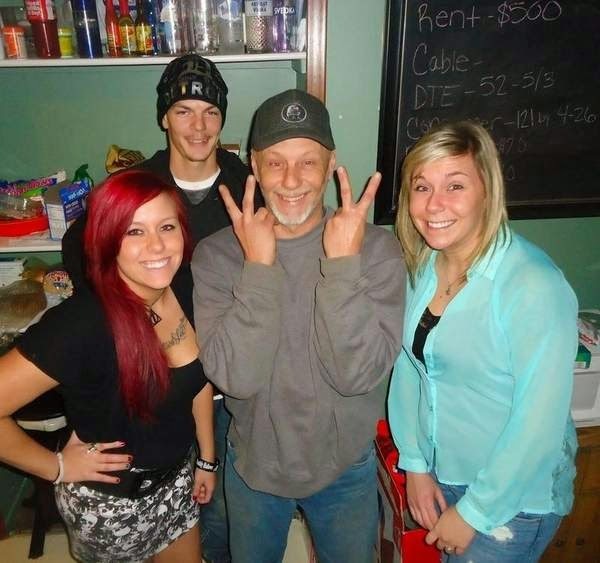 The two are believed to have been among a crowd that attacked Steven Utash, 54, of Clinton Township on April 2 after his truck struck a 10-year-old boy who ran into the street. When Utash got out to check on the boy, he was severely beaten by people “with their fists and feet,” according to a news release from Worthy. I was born and raised in Detroit, Michigan. There are many reasons I live outside the city but a major one certainly has to be crime. The city has a high number of crimes of violence and theft. The city has a new police chief who has overseen many high profile arrests and raids as well as an increasing number of Detroit citizens who, faced with home invasions, have fought back with deadly force. But an incident like the one shown in the video below the jump can lead to increased fear and loathing between city and non-city residents. It also may lead to a man dying. Accusations of racial animus and bias are over local radio stations and newspaper comment sections. I don't really know about that. I suspect that the mob may well have attacked the driver regardless of his race. But that's small comfort to the driver who is currently clinging to his life or to the young boy with a broken leg. If some or all of the mob can be shown to have acted out of racial animus then they should be charged under the relevant hate crimes laws. I have no problem with that. I do find it sadly ironic that locally some mostly white people are immediately certain that race was an issue in this case but did not see race in the George Zimmerman case. Well we're back. Everybody ok? Everyone had a good year? Everyone's loved ones safe? That is not counting the Starks. They are most definitely not okay as Season Four's premiere takes special pains to beat into the head of anyone thick enough not to have figured that out from the horrific events of Season Three. Season Four opens up with Ice, the Stark heirloom Valyrian greatsword and symbol of Ned Stark's authority, being melted down and made into two swords by orders of that great pragmatist, Tywin Lannister. Just for kicks or because he's nothing if not a thorough man, Tywin also has a wolf pelt (is this the remains of Grey Wind?) burned. The symbolism is strong in this one, Lord Vader. Tywin gives one of the new swords to Jaime Lannister and acidly explains that the extremely rare Valyrian steel is from someone who doesn't need it anymore. Tywin is pleased as punch to have his bouncing baby boy back again, even missing a hand. He plans for Jaime to return to Casterly Rock to rule. 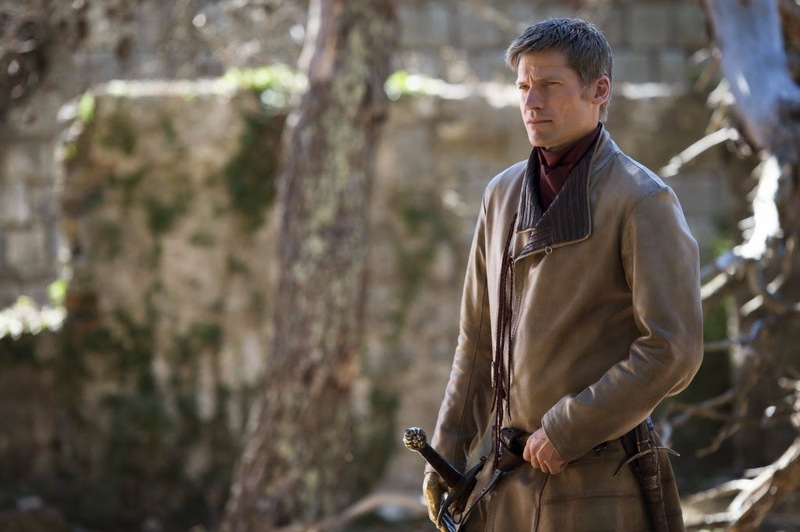 These plans don't coincide with Jaime's own though and he angers his father by refusing to leave the Kingsguard. His father coldly dismisses him. Tyrion, Bronn and Podrick are part of the greeting party to meet Prince Oberyn Martell of Dorne, who is arriving for the wedding between King Joffrey and Margaery Tyrell. 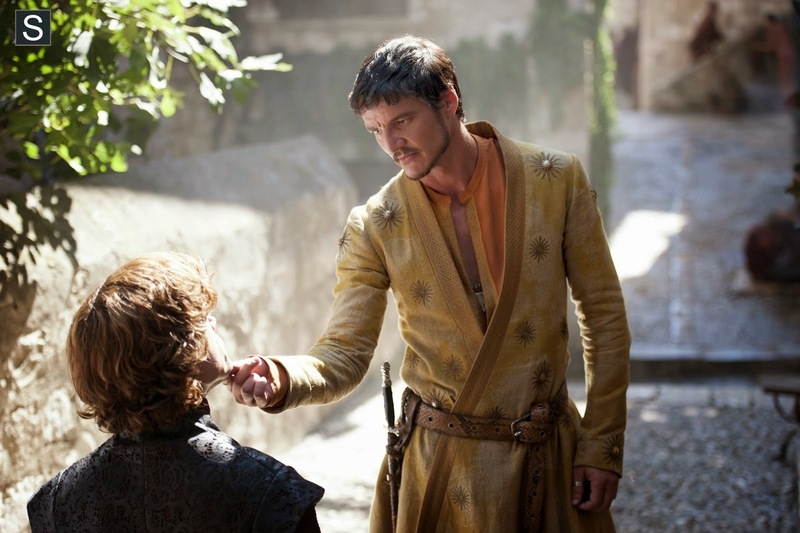 Typically, Prince Oberyn has marched to the beat of his own drummer and entered King's Landing earlier than expected. I'd like to share a revelation that I’ve had during my time here. It came to me when I tried to classify your species, and I realized that humans are not actually mammals. Every mammal on this planet instinctively develops a natural equilibrium with the surrounding environment; but you humans do not. Instead you multiply, and multiply, until every resource is consumed. The only way for you to survive is to spread to another area. There is another organism on this planet that follows the same pattern. A virus. Human beings are a disease, a cancer on this planet, you are a plague, and we... are the cure. 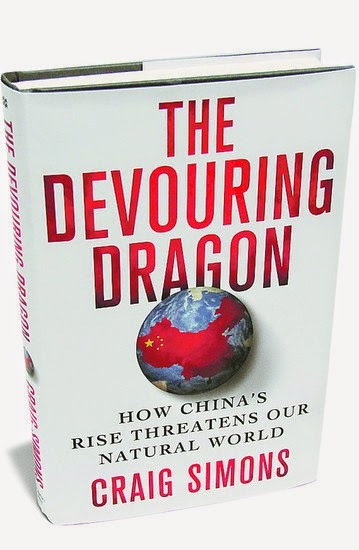 This book details the numerous ways (warming skies, shrinking forests, vanishing animals, poisoned rivers and seas, floods, etc) in which China's growth harms the world environment. China leads the world in CO2 emissions. It produces double the amount that the United States does. China burns most of the world's coal. Forests are disappearing and animals are being hunted to extinction because of Chinese demand. Starting this book it is initially difficult to avoid the conclusion that China in particular and the world in general are overpopulated. The Chinese market threatens almost every worldwide natural resource. Simons argues that China is raising the world's metabolism with grim results. Disturbing and frankly deficient Chinese cultural practices like poaching tigers, elephants, rhinos, or sharks to near extinction are detailed. Unfortunately so-called traditional Chinese medicine targets such animals for alleged medicinal or sexual value. The more normal worldwide practice of building dams, increasing industrial productivity, and expanding human settlement into previously untouched areas causes problems within and beyond China. I am sympathetic to wild animals. So I was angered by detailed descriptions of various Chinese cruelties (taking bile from a bear by the sadistic, senseless and cruel method of sticking a knife into a live bear's liver and letting it bleed out). But putting aside odd culinary and cultural aspects, China is doing very little that so-called Western nations haven't done. Chinese partisans point that out whenever China is correctly criticized for its environmental devastation and degradation. Westerners have criticized the Abrahamic religious view that man has dominion over the world and its flora and fauna. This Western view of man as being above and outside of nature is echoed in Confucian views of man establishing dominance over nature. Apropos of almost nothing at all I ran across this video when I was searching for the name of a particular gesture. I love the lady's deadpan comedic expressions. I was also greatly amused by this video because it reminded me of my college Italian teacher, who for the most part did not deliberately teach her class the more profane expressions but when annoyed certainly used a few of the gestures shown here. I guess if you ever find yourself in Italy or among certain groups of Italian-Americans some of these things could come in handy for letting people know exactly what's on your mind. Well another year has come and gone. A new season of HBO's Game of Thrones will shortly begin. Game of Thrones is HBO's most watched series behind The Sopranos. Season Four will introduce new characters and challenge old ones. Over the past three seasons the penultimate ninth episode has been the moneyball episode in which something shocking or tragic happened. This became predictable and even led to some fans, including some people here, zoning out a bit during the season. Some people thought the pacing was off. You could find a few such complaints on a few of our past GoT blog posts. Some complaints were about Bran or Robb Stark aimlessly wandering in the woods or Jon Snow spending three or four tedious episodes trying to decide if he really wanted to play hide-the-snow-cone with Ygritte while seemingly ignoring her increasingly obvious and impatient hints. This has allegedly changed. The show runners and various actors have stated in multiple interviews that this upcoming season has moved away from the ninth episode being the "OMG they killed Kenny" episode. There will be numerous high and low points for various characters throughout the season. 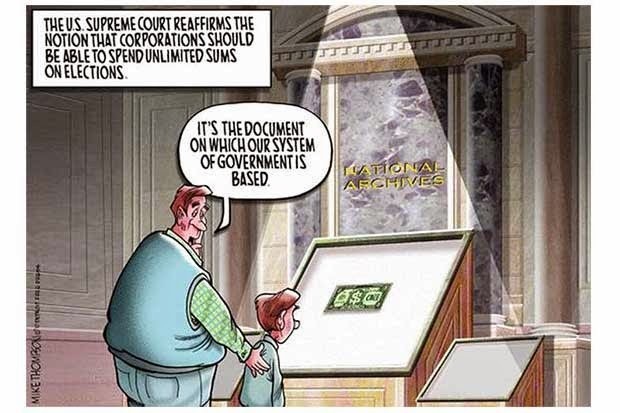 The budget is higher than ever. There are some major violent conflicts, both mass and individual, that still need to play out on the screen. So starting this Sunday, we shall see if the show lives up to the still growing hype or if some people still think there is still not enough new and surprising drama and action spread out from week to week. Season Four will cover at least the second half of A Storm of Swords but it's been confirmed that there is not a one to one book to season correlation. As happened in previous seasons, the producers, writers and directors will continue to adapt the entire A Song of Ice and Fire series. So book readers may notice things from future books this year. As usual there likely will be themes and characters added or dropped as Benioff and Weiss see fit. How Did We Go From Angela and Anita to the Women of Today? Allow me a moment to get a few things off my chest. I went home last evening with the intention to write a post on the "cash cow" that is the NCAA. However, in the midst of gathering the intel that I planned to share, I started watching "Free Angela and All Political Prisoners." This turned my whole evening upside down and really got my engine going.